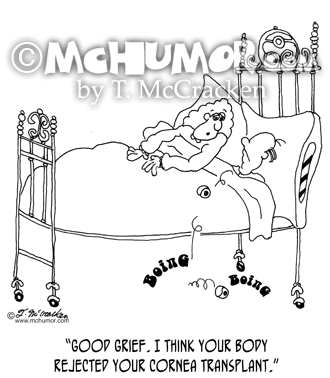 Eye Cartoon 7268: Eyes rolling off man in bed. 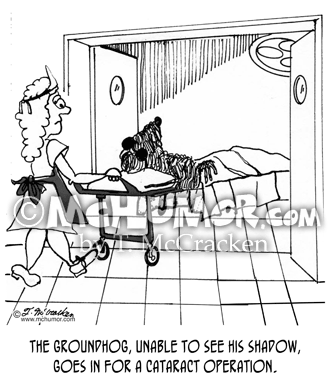 His wife says, "Good grief. 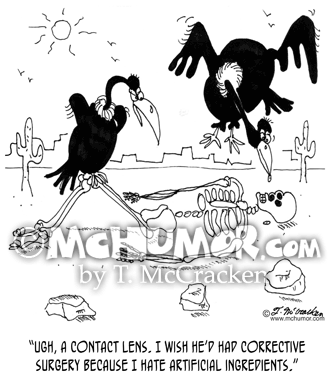 I think your body rejected your cornea transplant." 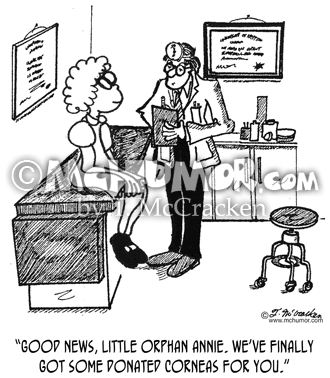 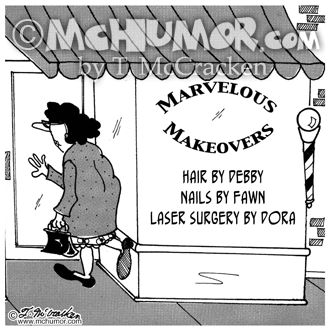 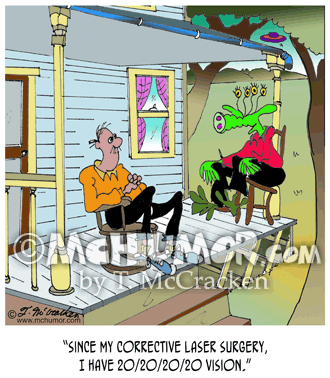 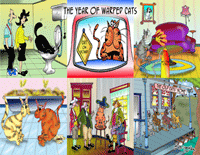 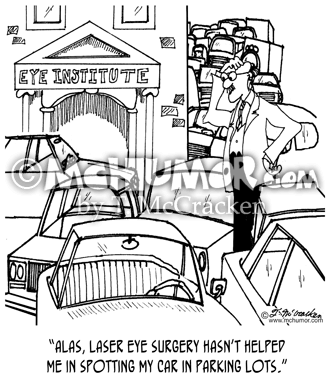 Laser Surgery Cartoon 9059: A shop with a sign, "Marvelous Makeovers. 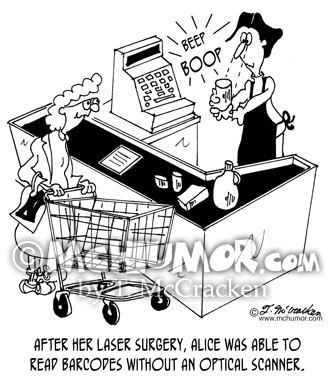 Hair by Debby, Nails by Fawn, Laser Surgery by Dora." 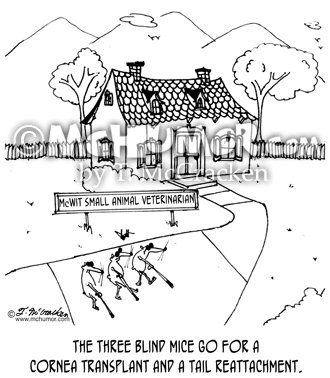 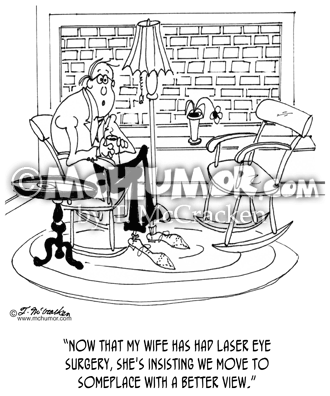 Eye Cartoon 7113: A man sitting in a living room where the window that looks out on a brick wall says, "Now that my wife has had laser eye surgery, she's insisting we move to someplace with a better view."